1233 Bonner Street, Houston, TX 77007 | Martha Turner Sotheby's International Realty, Inc. 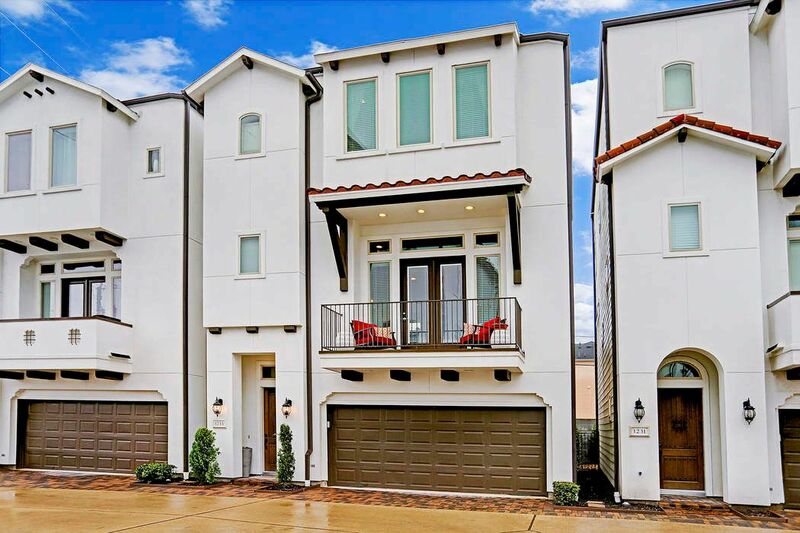 Elegant freestanding Mediterranean townhome located in Rice Military near all the best eateries and shops. The home has been well maintained. The home is located in a gated community with guest parking. No flooding. Home is high and dry. 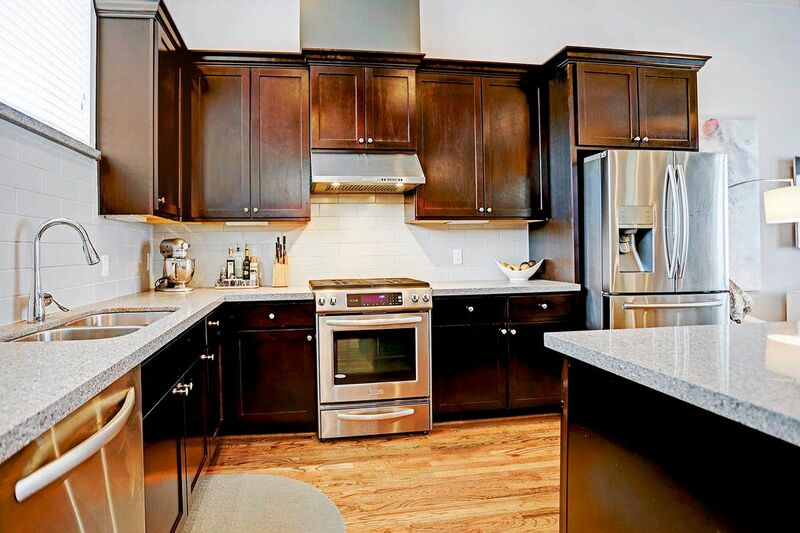 Handsome hardwoods throughout the living, dining and kitchen. 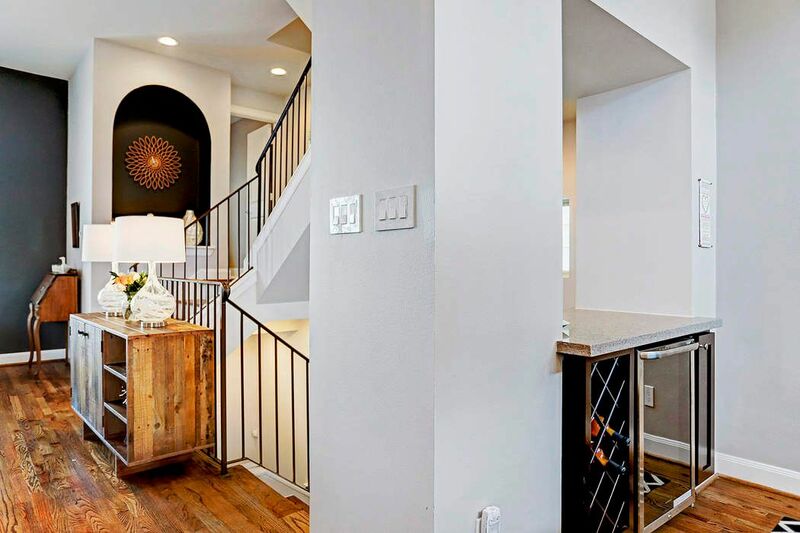 This open and bright floorpan is perfect for entertaining. 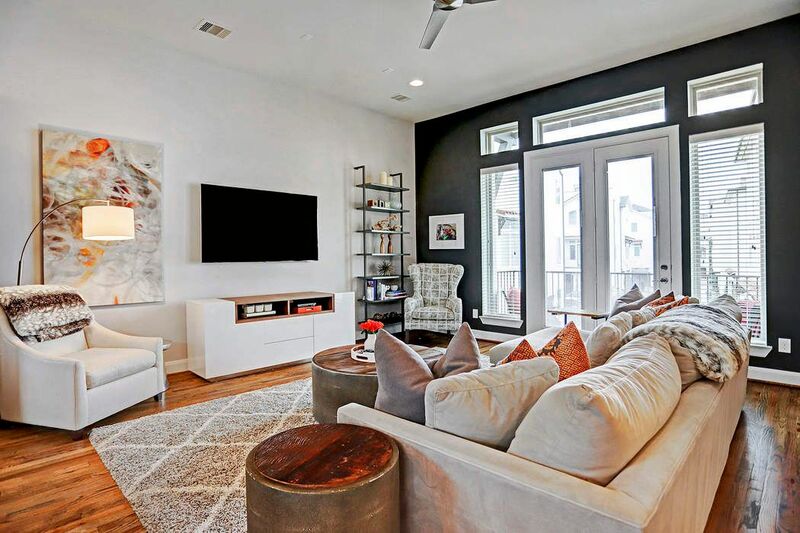 All floors feature high ceilings and designer finishes throughout. 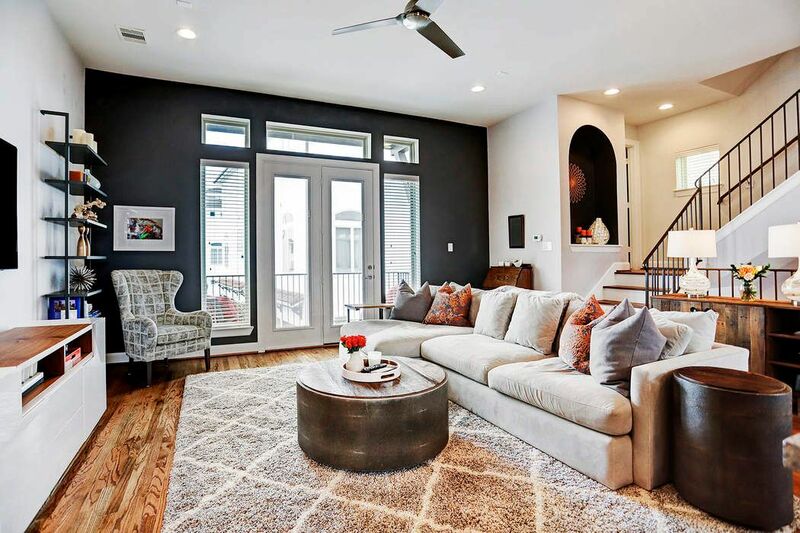 This view of the living room features oversized doors and windows that lead to the balcony. Spacious and bright describe this living space. WOW! Look at this chef kitchen! 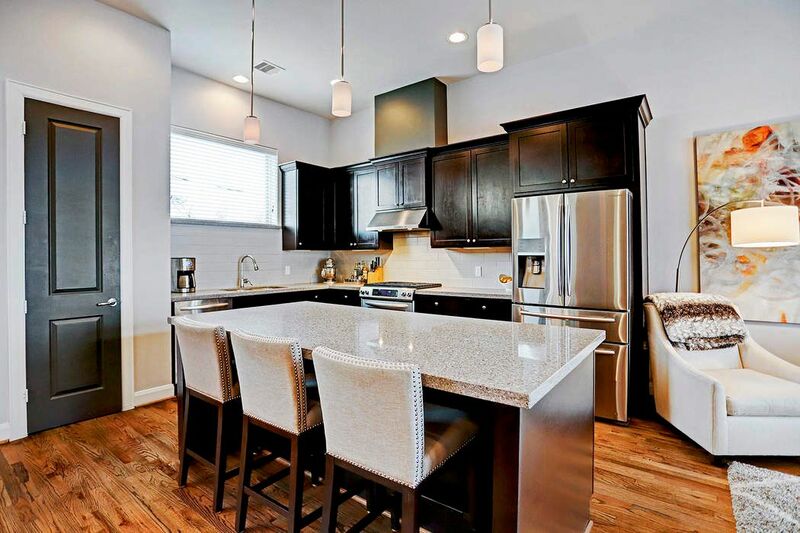 It features stainless steel appliances, dark wood cabinets, quartz counter tops, under cabinet lighting, HUGE island, pendant lights over the island, and hardwood floors. This is a space anyone would love to entertain. 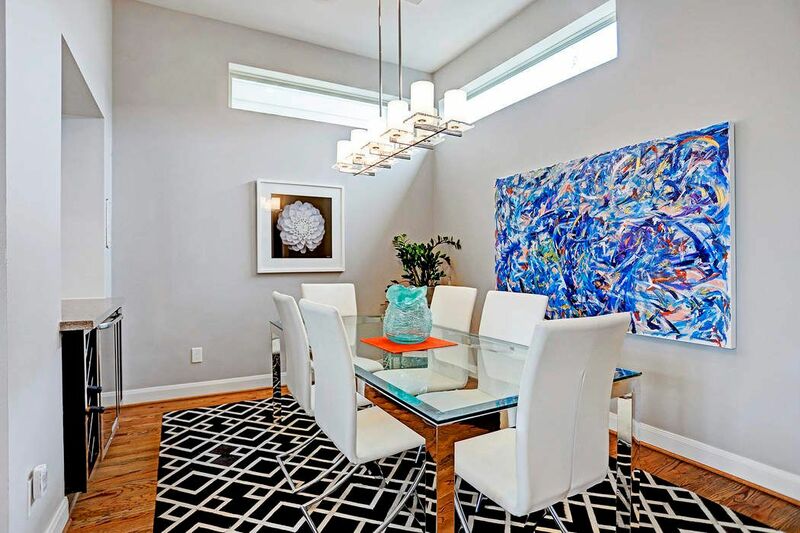 The dining room is located just to the side of the kitchen and features transitional light fixture, dry bar with wine fridge and oversized wall space for all your art! 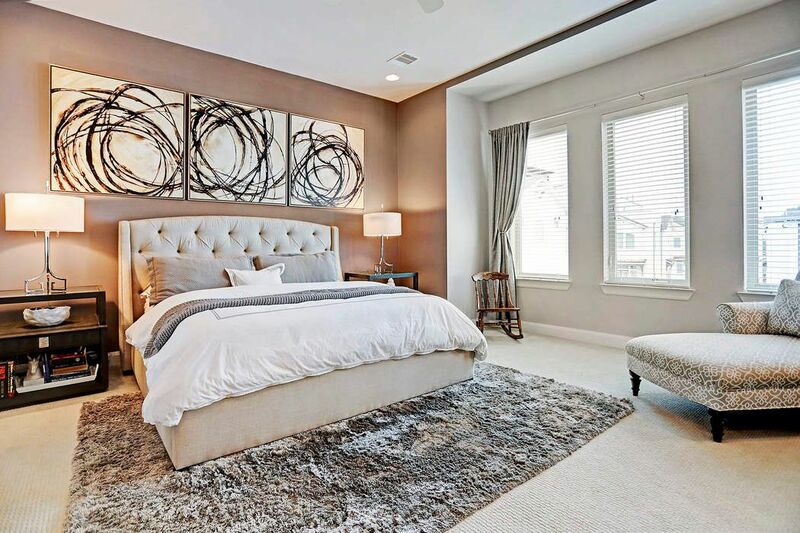 The master bedroom is reminiscent of a boutique hotel. Wow. The large windows provide plenty of natural light. Notice the custom paint that gives a modern feel. 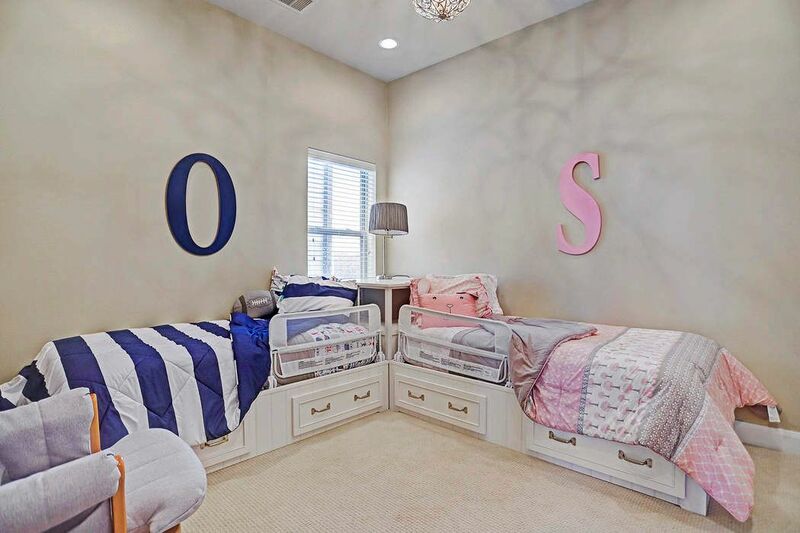 This room is large enough for oversized furniture. 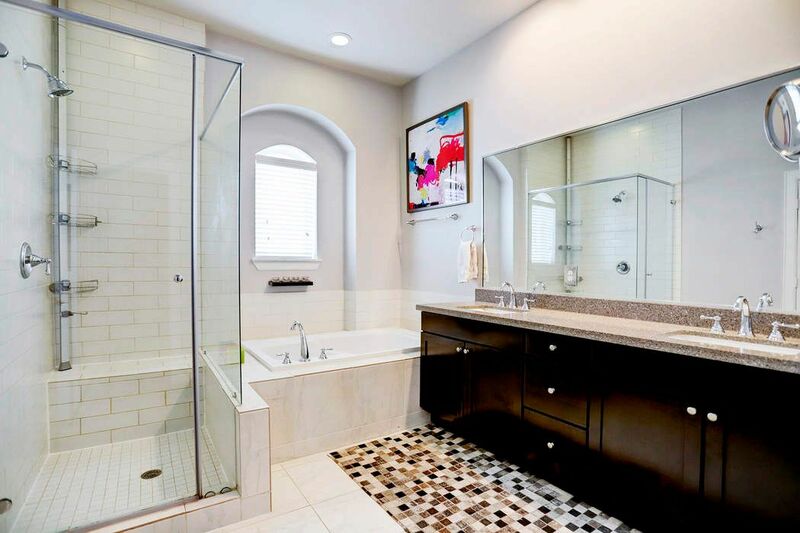 Spa like master bathroom with walk in shower, separate tub, dual under mount sinks, framed mirror, quartz counter tops, subway tile, and high end fixtures. 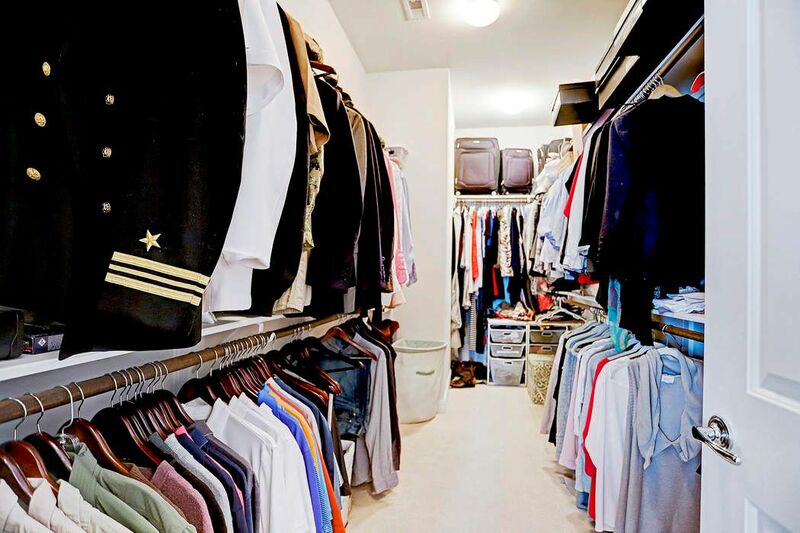 Enormous master closets with built-in shelves. First floor secondary bedroom with ensuite bathroom. Great size guest room, office or bedroom. Private backyard with patio! This is a great space to BBQ and entertain. Secondary bedroom located on the 3rd floor. The room features ensuite bathroom and spacious closet. Secondary bathroom located on the 3rd floor. 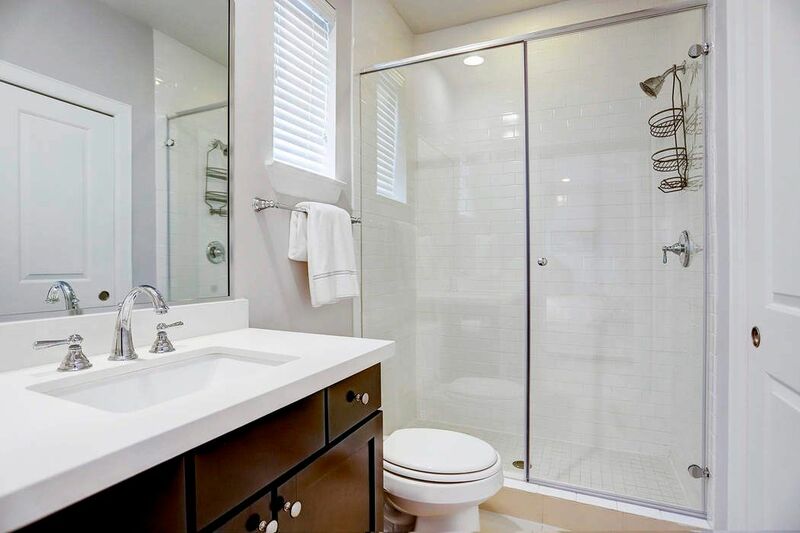 This secondary features dark cabinet, quartz counters, and tub/shower combination. First floor secondary bathroom with dark cabinet, quartz counters, subway tile and handsome fixtures. Gleaming hardwoods line all the treads on the staircase. 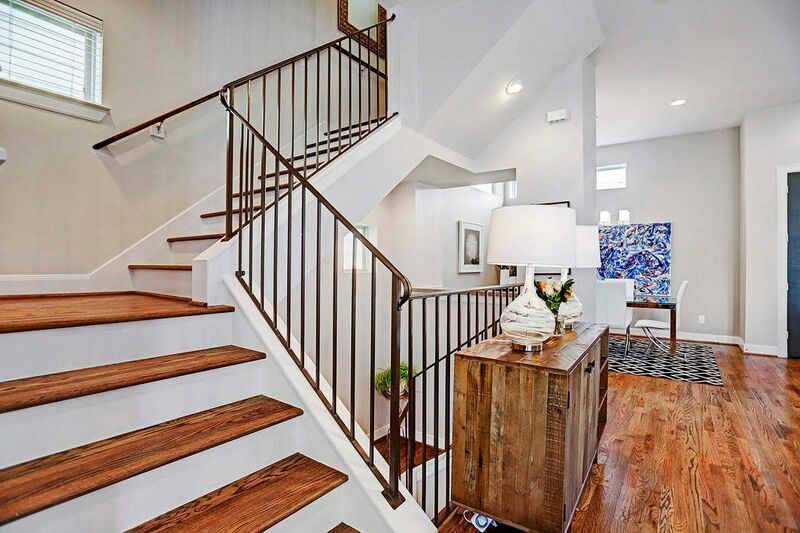 These stairs lead from the second floor living, kitchen, and dining to the master retreat. Iron railing leads from the first floor all the way to the third floor. View from the dining area to the dry bar located on the second floor. Gorgeous art niche with custom paint. The entire home has a clean and modern feel. 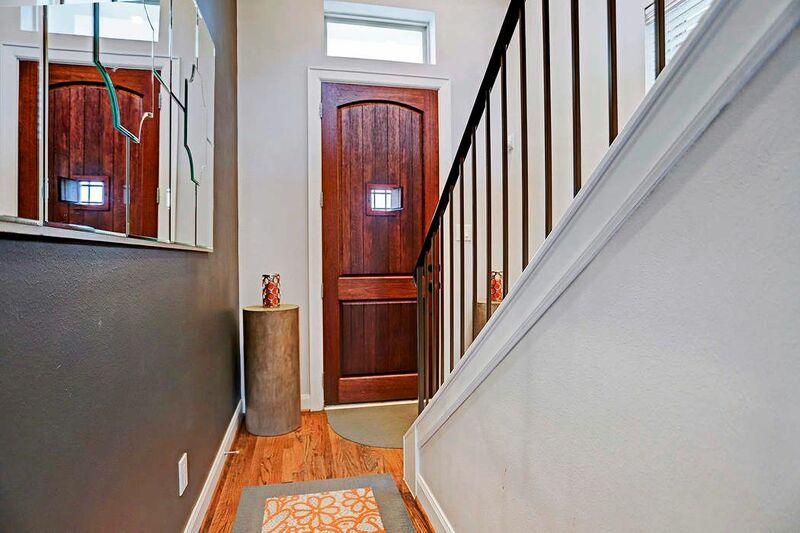 Entry way with oversized wood front door. Hardwoods throughout the entry of the home. 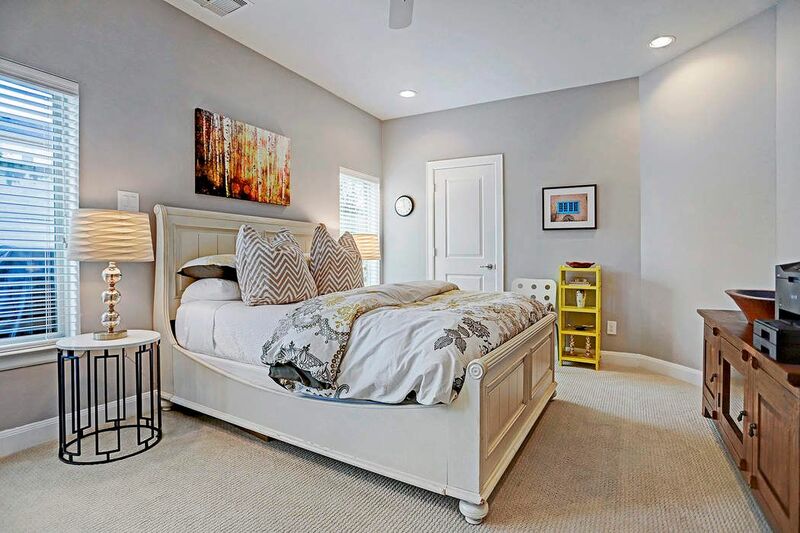 $415,000 3 Bedrooms3 Full / 1 Partial Baths2,252 sq. ft. 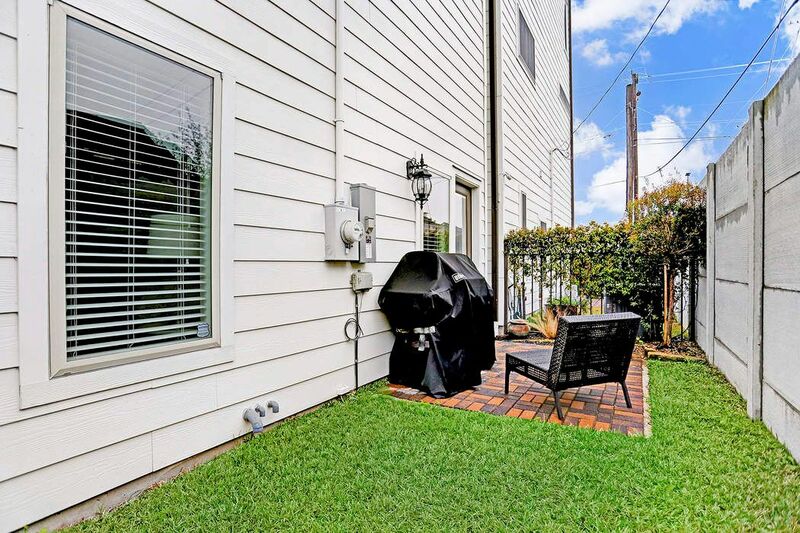 Elegant Mediterranean-style home located near all the best eateries and shops in Rice Military and the Heights. 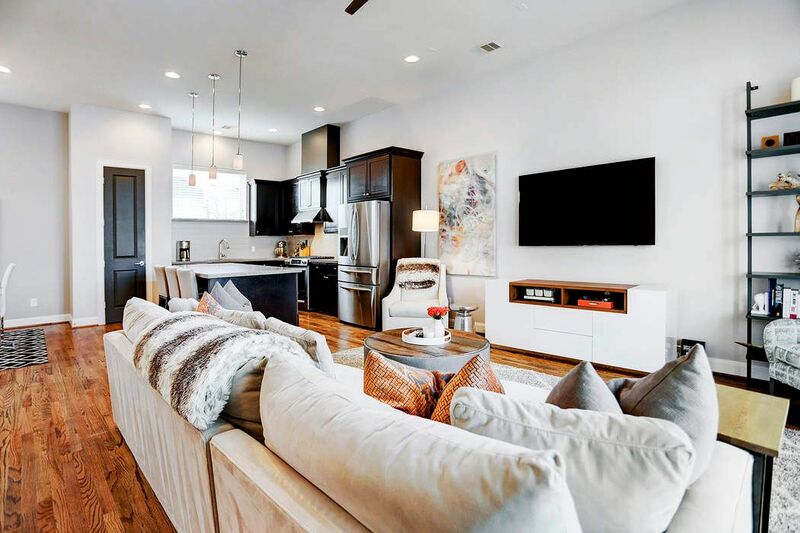 The designer finishes and open floor plan provide a luxurious feel throughout and include soaring ceilings, quartz counters, dry bar with wine refrigerator, and balcony off living room. 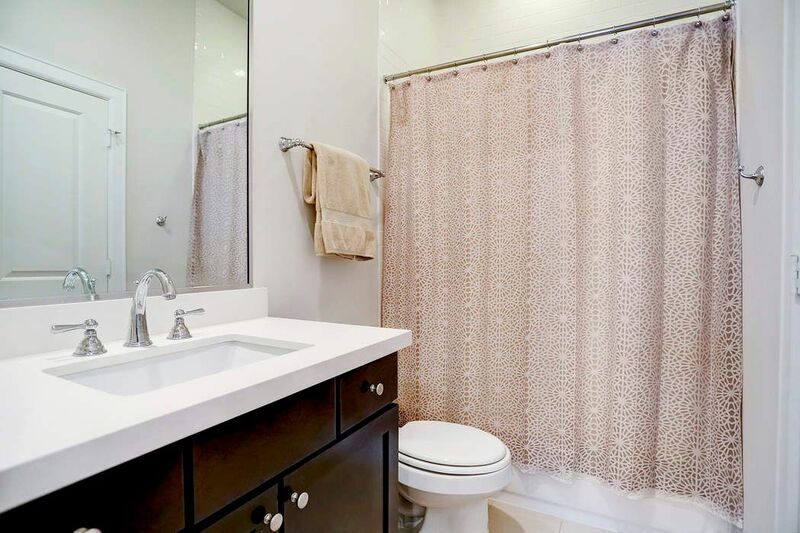 The master suite features dual sinks, soaking tub, separate shower, oversized closet with built-ins. The gated community is immaculately landscaped with guest parking. Enjoy entertaining in your private backyard.